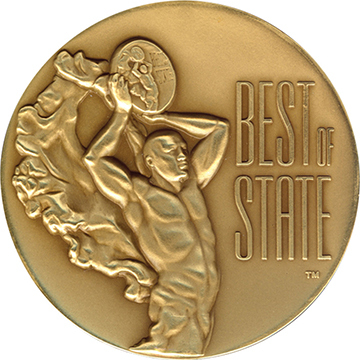 Congratulations on becoming a Best of State Recipient! Now let us help you become fully branded with all the Best of State products you'll need. Including co-branding your company logo with the Best of State logo!